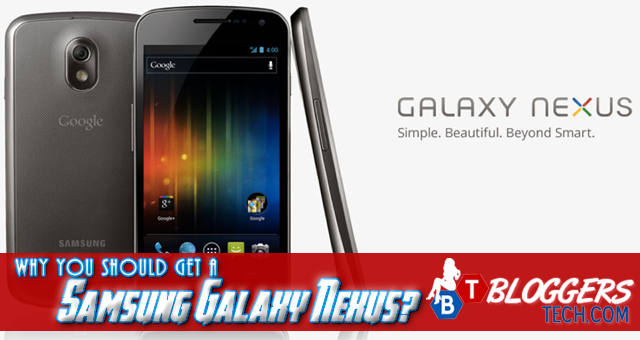 Why You Should Get A Samsung Galaxy Nexus? The Samsung Galaxy Nexus is one of the thousands of mobile phones available on the market. You may be asking yourself what makes it better than all of the other available choices. You will know all of this after you read the information below. It is an Android phone, so you can expect everything you have on the phone to stay safe in the cloud. This means that anything you have stored on the phone will be safe, even if your phone is lost. Apps, photos documents, contacts and music will all be safe and waiting to be stored on your replacement device. The screen is large in size (4.65 inches) and is Sprint's first HD Super AMOLED phone. This means that everything you see on your phone will be in HD quality. Pair this with the fact that the display is curved and the face of the phone is keyless, and you will be able to see quite clearly in areas where there is a lot of glare. This is one of the few phones that support Google Wallet. This can turn your phone into a very simple way to pay for purchases at any store that has a MasterCard PayPass kiosk. As an added bonus, the Samsung Galaxy Nexus can keep track of all of the loyalty and rewards programs you are a part of, so you don't you do not have to worry about missing out on any deals. The phone has a touchscreen, so if you are one of those people that loves the feel of effortlessly typing away without worrying about sticky keys, this is a definite plus. The touchscreen keys are fairly wide, so you don't have to have super small fingers in order to get the most out of this particular phone. The Samsung Galaxy Nexus had a 5MP camera. This is a big draw for all of the people out there that love cheesing for the camera. You don't have to worry about taking terrible quality pictures any longer. All of your photos will be nice, clear and ready to be seen by all of the people you choose to share them with. As stated earlier, there are many of phones out there especially we have a lot of smartphones to talk about here in Bloggers Tech blog, but there are so many good points about this one that there is no need to look for another. The best thing is that you can find this phone at a price that is less than many phones in its class. Do you really need any more reasons why this is the phone for you? How to Have a Caricature Yourself? Make Money Blogging - Monetizing Your Traffic!